We’re always on the lookout for creative ways to wrap a gift. 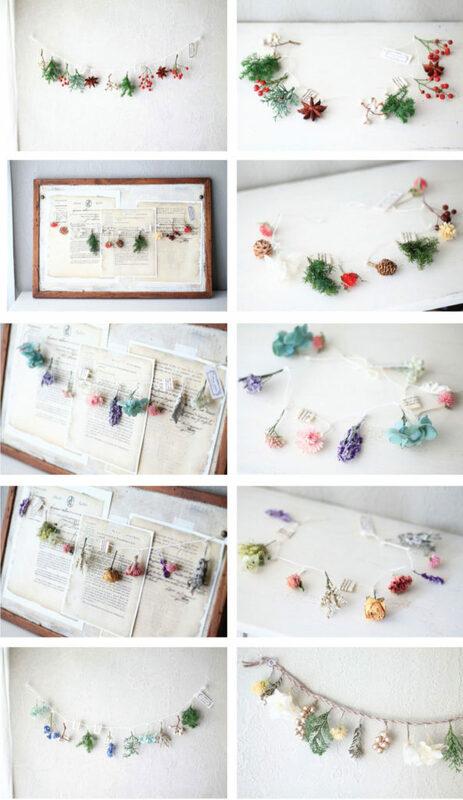 We found these garlands that we think will greatly embellish a package. It is sold in the Japanese handmade market site Minne. The shop name is M’s Craft and as typical of Japanese sites the creator’s name is not listed. The items are made from cultivated in-house flowers carefully chosen for their colors and picked as per season and occasion. Images: Courtesy of M’s Craft. We never leave Japan without browsing stationery stores. Elated that we found these paper cut wreath tags on the online handmade market, Minne. 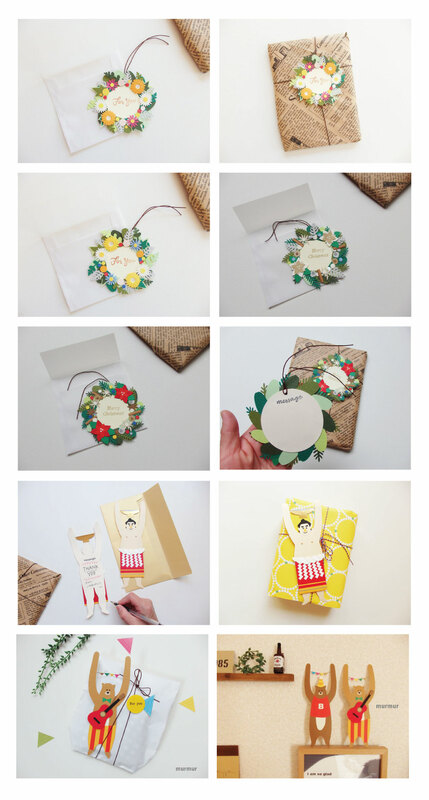 The unknown artist from Okinawa carefully cut and pasted paper to create these delightful designs. The items are sold on Minne and on Taiwan’s handmade marketplace, Pinkoi. For now only Pinkoi delivers internationally. Images: Courtesy of Murmur’s Shop.